Spray a 10-inch springform pan with nonstick spray. Sprinkle the ground pecans evenly over the pan bottom, patting them into place. The crust layer will be very light and may not entirely cover the bottom of the pan. In a food processor, combine the ricotta, yogurt, Splenda, egg substitute, flour, vanilla, and lemon zest. Process until partially smoothed, about 1-1/2 minutes. Cut the cream cheese into 9 or 10 chunks. One at a time, add the chunks through the feed tube. Process after each addition. Process until smooth – an additional 1-1/2 to 2 minutes. Carefully spoon the mixture over the ground pecans. Bake in the center of the preheated oven for 15 minutes. 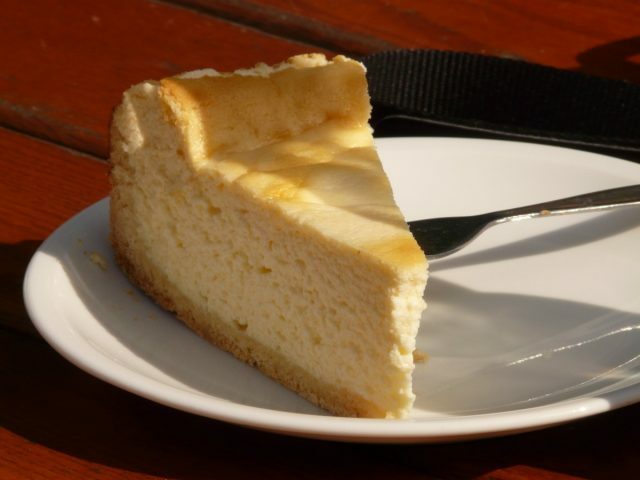 Lower the oven temperature to 325 degrees F. and bake for an additional 50 to 60 minutes or until the cheesecake edges have begun to brown and the center is puffed and seems set when the surface is lightly tapped. Remove to a rack and cool for 20 minutes. 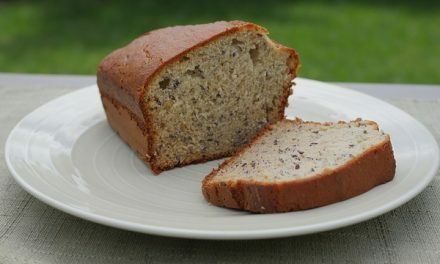 Refrigerate at least 6 hours or overnight until cooled. When cooled, cover with plastic wrap. If desired, top with cut fruit.